Garden Works Landscaping Inc. has delivered prestige and over the top services such as tree trimming and garden services since 1987. We are here to lend a hand and offer our expertise to the community we live in. 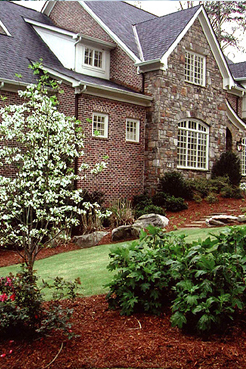 We provide High Quality Professional Landscape Maintenance services for Residential & Commercial properties. We have been providing Landscape Maintenance services for your lawns, tree's and gardens since 1987. We offer many landscape maintenance services for our clients. We provide top quality no matter the size of the properties. We will make sure your properties are looking great. Want to make sure costumers feel great as soon as they drive up to your business property. We provide High Quality Landscape Services and at affordable prices. Our Garden Services will be very beneficial for your residential or commercial property. Your friends, neighbors, costumers & family will enjoy the look and feel of your exterior landscape. Lawn Care by Garden Works will be very beneficial for your lawn. Lawn services by Garden Works will be greener. We have designed and installed many properties throughout california. We clean out valleys to prevent fires so we are well trained and equipped to provide professional clean-ups for your property.